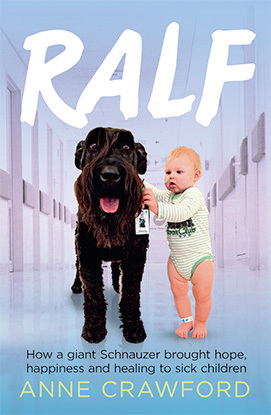 Ralf comes out in February 2015! 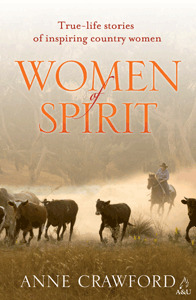 Women of Spirit, which was published in May 2014 and involved several wonderful outback road trips, is doing well. ‘Women of Spirit is a testament to women who have endured personal trials, illnesses, and the extremes of Australia’s climate and landscape to do what they do. Crawford tells their stories with a sensitive touch, weaving the stories so that readers have an opportunity to know what shapes each woman, as well as what it is she has achieved. Great Australian Horse Stories was launched amid much goodwill at Helen Packer’s glorious property at Anglers Rest, in the Victorian High Country on November 10th, 2013. About 70 people came, two of them former drovers living in the Northern Territory and Queensland. Guests nibbled on home-made Angus beef sausage rolls, freshly baked bread delivered with a floral arrangement in a wheelbarrow, enjoyed some traditional fiddle tunes played by Tom Fitzgerald (otherwise a renowned composer) and Banjo Paterson’s Geebung Polo Club poem read by Dave Olsson, one of the Geebung players. Forged with Flames was launched on February 16th 2013 in the packed Narre Community Learning Centre to many speeches and the presentation of a framed Cliff Richard record by the CFA crew who helped save Ann Fogarty, co-author, during the Ash Wednesday bushfires. Ann departed the launch in a stretch limo to meet Sir Cliff, her idol as a teenager, who happened to be performing in Melbourne at the time. 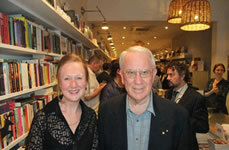 Doctor Hugh: My Life with Animals was launched on October 3rd 2012 at My Bookshop by Corrie Perkin in Hawksburn, the culmination of two years work. 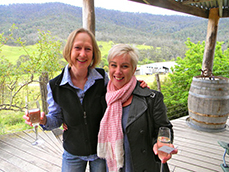 ABC presenter and comedienne Libbi Gorr acted as MC (and pizza waitress), and Allen & Unwin publisher Tracy O’Shaughnessy spoke, as did the co-authors, in what was an all-round wonderful event.